Like many people who care about social and environmental issues, I sometimes get discouraged. Can I really make a difference? What impact can I have by writing a letter to my representative, or signing a petition? Petitions are a dime a dozen nowadays anyway, right? Don’t you ever wonder if they really have any impact? I do. Or, I should say, I did. 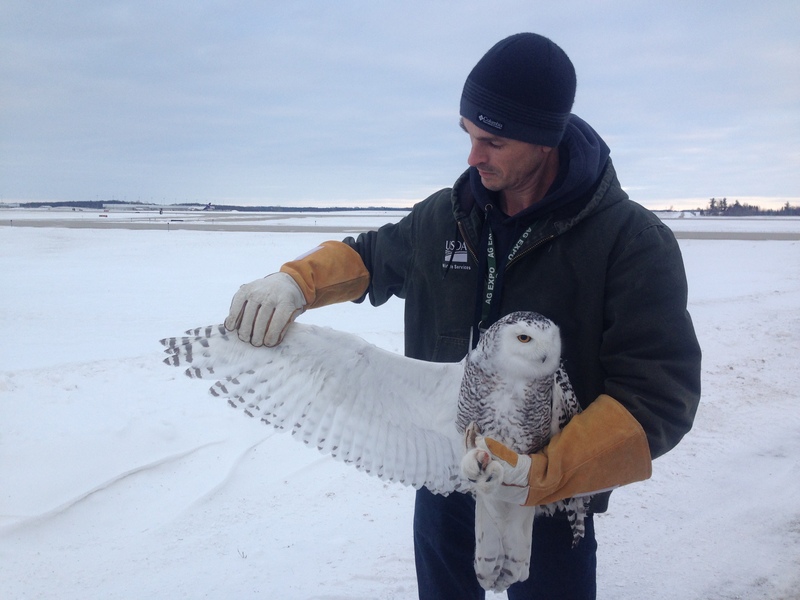 Two weeks ago I got involved in an effort to stop the airport in Grand Rapids from shooting Snowy Owls. Very personally involved. And I think the experience has changed me forever. This is a screenshot of the petition on Change.org. The photo was provided by Charles Owens. If you’ve read my blog for any period of time, you know how much I care about protecting birds and their habitats. So when someone in a birding group found out that the airport was killing the owls instead of the more humane method of trapping and relocating them, birders were up in arms. And something clicked in me right then — I decided to start a petition on Change.org. I’d seen how fast a similar petition had gotten results when JFK airport was caught shooting the owls in December (story here), so I decided to try and harness the passion of all my birding friends to see if we could do the same here in Michigan. And boy, did we. My petition quickly got 2,000 signatures (and would have 3,500 in a couple more days). Lots of people started sending emails to the airport and the local media in Grand Rapids. Links to the petition were spread throughout social media so fast I couldn’t keep up with them all. Within 24 hours we’d been joined by some “big guns” — Black Swamp Bird Observatory and the American Bird Conservancy. Michigan Audubon also helped spread the word. While those more-experienced leaders continued their attempts to speak with airport officials, I focused on putting news updates on the petition site and encouraged people to keep sharing the link. Anyway, to make a long story short (too late? ), the media picked up the story and aired it on the evening news right after the MLK holiday weekend. I was thrilled to see that my petition was mentioned in every story done in the next few days. (Although, thankfully for an introvert like me, the media didn’t contact me or mention my name — whew!) I’m generally more comfortable as a behind-the-scenes type of person, but I’m really glad I stepped up this time and put myself out there, even if it was just as a petition author. Because when we were successful in getting the airport to increase their efforts to trap-and-relocate, I felt a personal victory and a newfound sense of power. Don’t misunderstand, I don’t mean that I was responsible for the success of this campaign. No, there were lots of people involved in making this happen. What I mean is that I saw, very clearly and up close, that a petition and social media can make a difference. I was blown away at how easy it was to spread the word about this petition. I’ve purposely kept a short “friend list” on social media, so I knew I personally couldn’t reach that many people. But it didn’t matter because my short friend list includes people who have very big networks, so all I had to do was ask them to mention the campaign and it took off like wildfire. I was gobsmacked by the whole thing (just wanted to use that word today). Photo by Gerald R. Ford International Airport. Used with permission. In the photo is Aaron Bowden, a licensed bander with the USDA, who manages the whole trapping and relocating process. I think it’s safe to say that our campaign saved the life of this beautiful owl. And I hope the airport continues its stepped-up efforts to trap the birds for the next two months until they head back north to their relatively peaceful home — the one that doesn’t have airplanes and cars and people everywhere. The Tenth, and final, Trust is, perhaps, the most important of all. It reminds us that every action we take to make the world a better place is important and worthwhile, no matter how small. Because there are millions of others like us, and as long as each of us does our bit, the cumulative result will be massive change for the good. That was reassuring to me, because if anyone understands the power of individual action, it’s Jane Goodall. And the way I see it, what’s the point of being on this planet if I can’t be bothered to do my part to protect what’s left of the natural world? This entry was posted in Birds, Humans vs All Other Animals, Michigan, Threats to Birds and tagged activism, airport, Goodall, Snowy Owl. Bookmark the permalink. Good for you (and your community)! The photo of the snowy owl who wouldn’t die, thanks to your efforts, squeezes my heart. Thank you, thank you. I like that, Julie, “the snowy owl who wouldn’t die.” Thanks! This is such a great story! I bet you never thought when you first posted about wanting to see a snowy owl this winter that you would actually end up saving their lives. Well done you! Thanks Kristie, and you’re right, I never would have thought that I’d have such a central role in something like this. I think I’m growing a backbone suddenly at 52, how about that? Wow! It’s wonderful and amazing what you accomplished by starting that petition, Kim! I am very proud of you! Thanks, Roxanne! It was a great learning experience and I’m so glad I forced myself to go WAY out of my comfort zone on this one. I’m tucked safely back in my shell now, but still watching what’s going on out there in the world, just in case…. This is so cool Kim! Way to go! And also, I didn’t realize you were from Michigan. I’m also originally from Michigan 🙂 Small world! Thanks for the comment, Lauren! I was actually raised in southeastern and central Ohio, but have lived here in the Detroit metro area since 2000. So Michigan is my adopted home, I guess. I wasn’t happy about moving here at first (for my husband’s job), but I’ve learned to love Michigan. The wonderful state and local park systems and easy access to the Great Lakes are what I love most. Oh Kim, I absolutely loved this post! My heart sang hearing that it truly does make a difference, no matter what small part we take. Like you, I sometimes feel overwhelmed by social media, but I have learned to be thankful for my friends who are connected. What a beautiful whirlwind happened when you simply put word out to a few! I’m proud of you Kim. This just made my day! Thanks, Lori! My first drafts of this post felt almost like I was trying to brag about my part in these campaigns, and that made me uncomfortable. I’m happy that I rewrote it the way I did, and now this part of my life is documented for my own memories. I hope what I learned can help others to stay motivated too.